Phnom Penh (FN), April 9 - United Nations delegations led by Armida Salsiah Alisjahbana, Executive Secretary of United Nations Economic and Social Commission for Asia and the Pacific (UNESCAP), paid a courtesy call on Prime Minister Hun Sen on Tuesday at the Peace Palace. 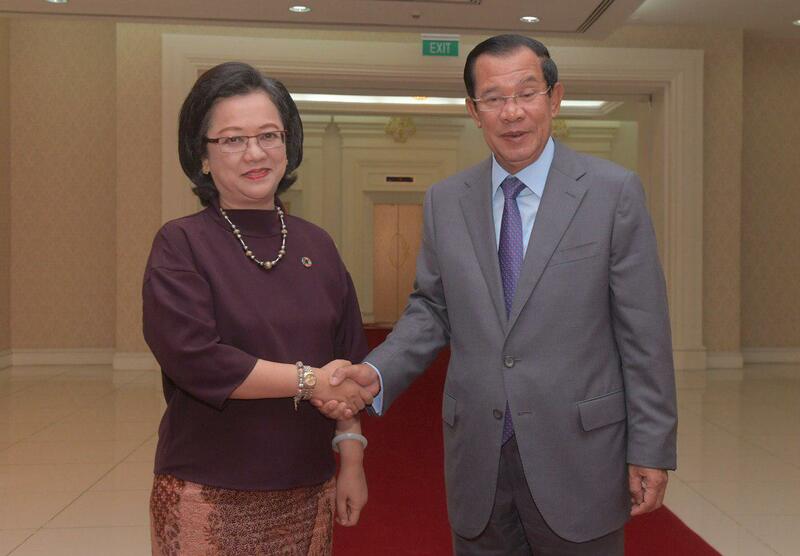 Armida Salsiah recognized Cambodia’s peace, stability, and development, the Premier’s personal secretary Eang Sophalleth told the press after the meeting. 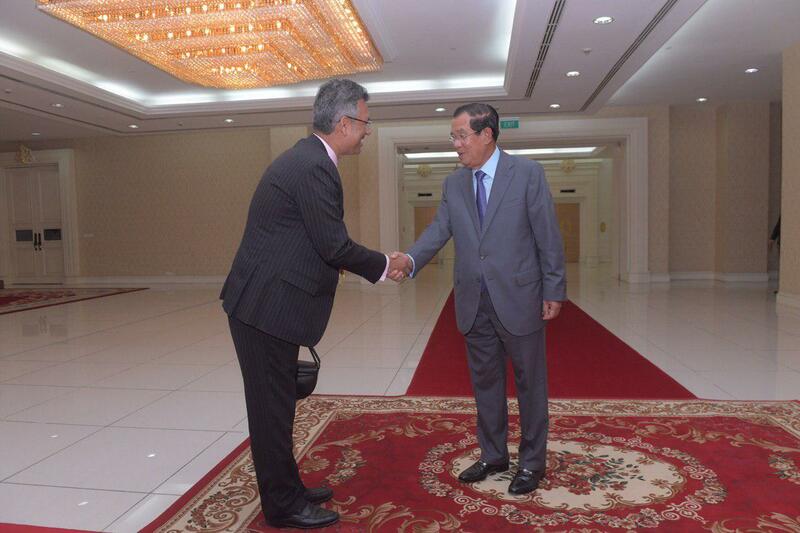 Armida highly appreciated Cambodia for setting up National Commission on UNESCAP since 2008, currently headed by Senior Minister Ly Thuch. 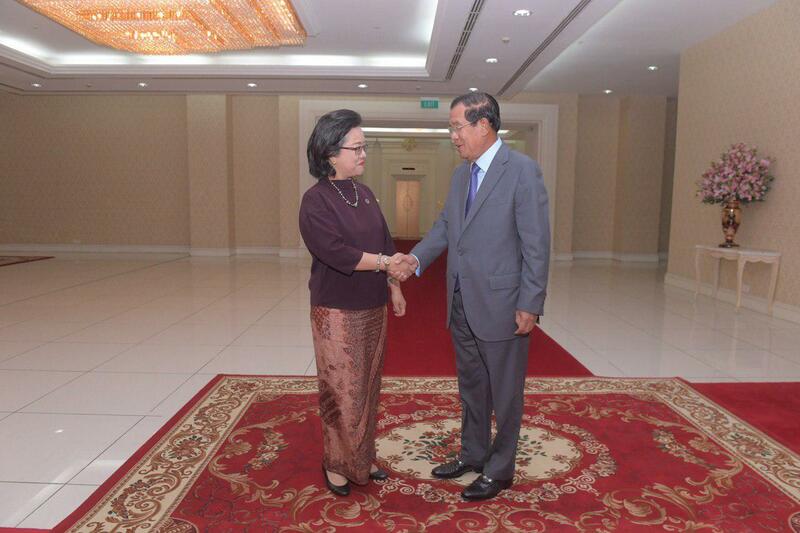 She recognized the roles the kingdom plays in the bilateral relation with UNESCAP and trilateral relations among Cambodia-ASEAN-ESCAP. 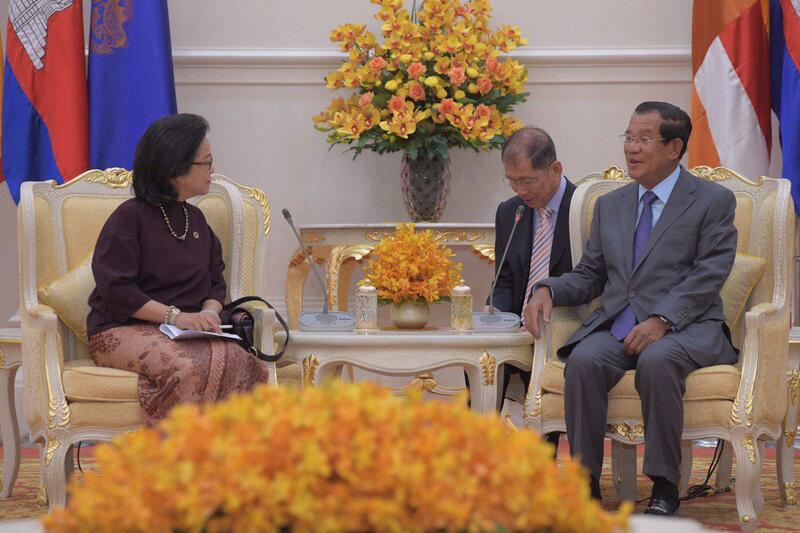 Prime Minister Hun Sen informed the UN delegations that as a peace contributor and civilization connector, Cambodia does not only prioritize sustainable development, but also contribution to global peace and world order. In terms of peace contribution, Cambodia has dispatched more than 5,000 troops under the framework of the United Nations. Today, the kingdom has 810 troops conducting missions in four countries, including South Sudan, Mali, Central African Republic, and Lebanon. 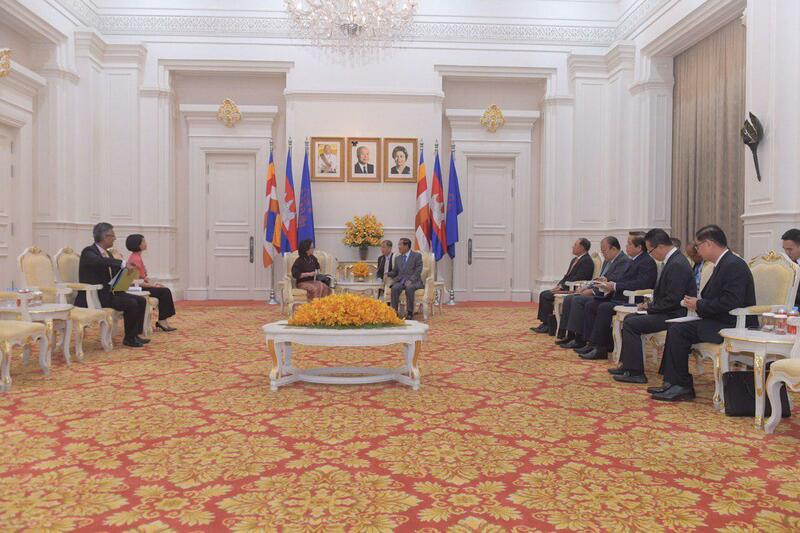 The UN delegation paid a visit to Cambodia for three days from 8-10 April 2019 to enhance the cooperation between Cambodia and UNESCAP, and discusses the overall agendas of UNESCAP, including Sustainable Development Goals (SDGs). SDGs are the blueprint to achieve a better and more sustainable future for all by addressing global challenges like poverty, inequality, climate, environmental degradation, prosperity, and peace and justice. All the goals are interconnected and expected to reach by 2030 with the aim to leave no one behind.